"Ibiza Delivers are always very responsive, instant with information on products or changes. Their service is excellent - from quality of produce, food handling, timing and flexibility on delivery locations Ibiza Delivers always put more than 100% effort into each delivery. I can recommend Ibiza Delivers to anyone who loves working with professionals and loves cooking with quality produce.. I am looking very much forward going back to Ibiza knowing we have the Ibiza Delivers team on our side." "As a busy yacht, it is essential for us that we have excellent logistical support throughout our cruising season in order to provide the best service for the owners and their guests. We have been using Ibiza delivers for all of our provisioning needs for some years now and they have always provided a first rate service with top quality produce and punctual deliveries. 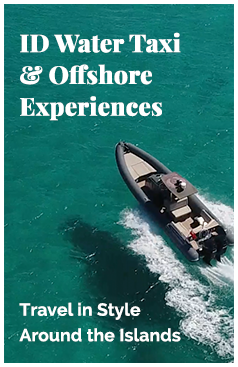 Their tender delivery service has proved to be invaluable whilst out at anchor for elongated periods and I would have no hesitation in recommending their services." "ID delivered!! Over 3 weeks in Ibiza we were treated by one of the best provisioning companies I have worked with over the last 14 years. Everything that came on board was over seen by our account manager and absolutely nothing was sent back or refused. I highly recommend this company and look forward to our next Ibiza trip knowing that I don't have to worry about how I'm going to provision." "Ibiza Delivers are always very helpful, professional & on time. Their service is outstanding - I've been using Ibiza Delivers for the past 3 years running and wouldn't even think about using anyone else on the island. They've catered towards all the usual outrageous last minute requests and have helped me deliver the best products available to the guests. I've always been able to contact them 24/7 with no hassles and they've also been excellent with providing both high end as well as crew supplies at any time of the day. I'm happy to return to Ibiza knowing that the ID team will be waiting with all the food and supplies that I need on board." "The Ibiza Delivers team have been life savers during our stays in Ibiza. They really care about the quality of items they are supplying. The service is great, emails and phone calls are answered promptly, emergency same day deliveries are possible, and they go above and beyond to source specialty items otherwise unavailable on the island. I wouldn’t use anyone else while in Ibiza." "As a superyacht chef we must be able to guarantee our clients a flexible high class service, last minute orders are not uncommon so we need the best products as well as high level logistics. Ibiza Delivers provide this service - they are great – both experienced and with the best suppliers. They can always help in any situation - I highly recommend Ibiza Delivers." "We operate a very busy charter season with demanding clients and so need quality produce, flexibility, good communication and timely billing. Ibiza Delivers provides all of these in spades and are an integral part of our operation when in Ibiza." "Ibiza Delivers encompasses everything that is important in yacht provisioning. Impeccable & efficient service, superb quality of produce & most importantly they do deliver on their guarantee of the very best of everything. I have used Ibiza Delivers & can wholeheartedly recommend them to any chef & yacht considering using them." "As a private chef to some of the most prestigious clients who visit Ibiza, the quality of ingredients are of paramount importance my work. The first time I used Ibiza Delivers, any fears I might have harboured were instantly quashed after their first delivery. They equalled the quality of the provisions that I was used to, often sourcing products from the UK that I couldn’t normally find. After a successful first delivery which was substantial and complex, they went from strength to strength. I genuinely can’t recommend Ibiza Delivers highly enough for any size order."